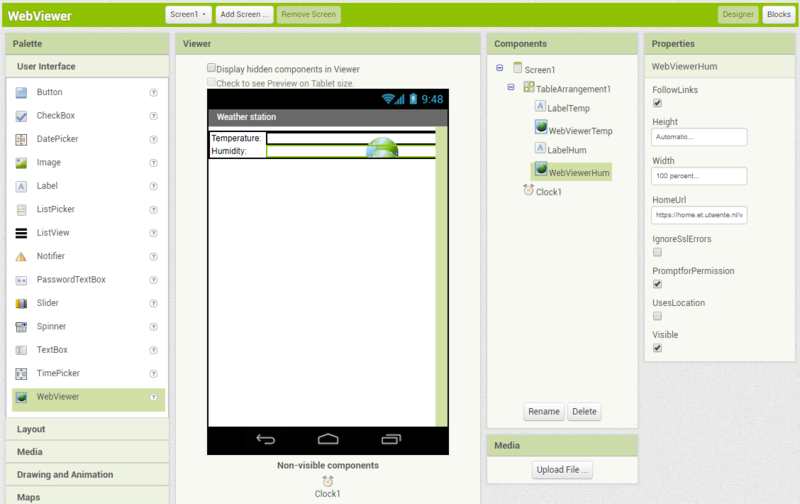 This tutorial describes how to Use App Inventor to build an App which can read the online values of a connected sensor. For this, it uses a WebViewer Component and a Clock to refresh values. This is part 2 of a series, the first part, “Create a connected sensor” can be found here. This second part can also be done without the first part (but it will lack live data in that case). 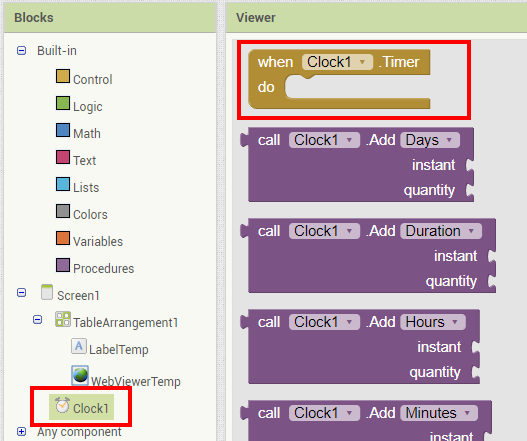 This tutorial demonstrates how to build a simple App using App Inventor which displays live data from a connected sensor. The connected sensor publishes its data on a web server. 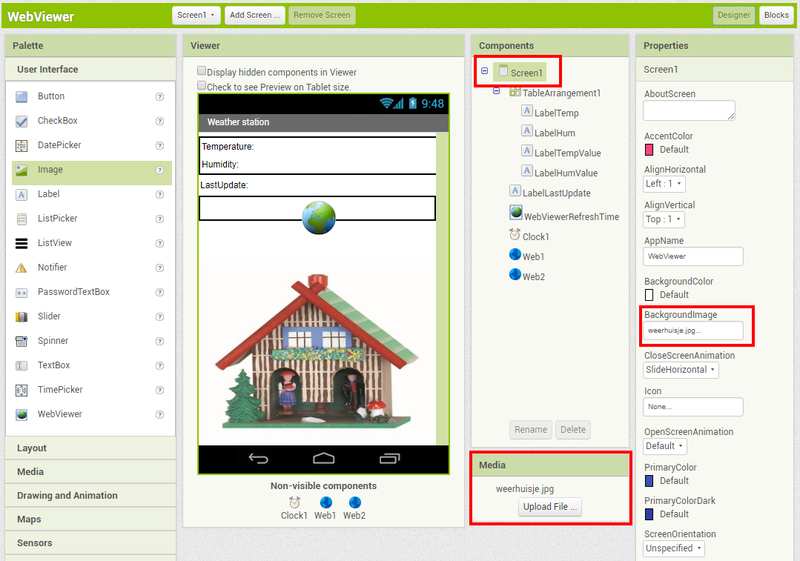 This App will read the data using a WebViewer component and a timer (a Clock component). If necessary, do the beginner App Inventor tutorial first. 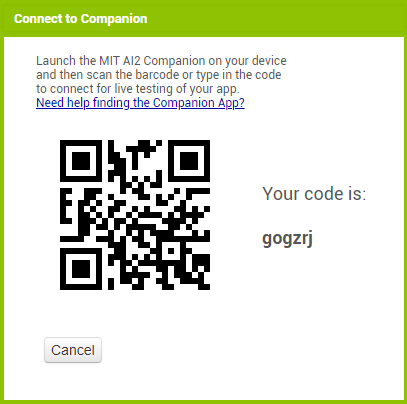 To be able to test your app, you can use the MIT AI2 Companion App. There are other ways, but this one is the easiest. 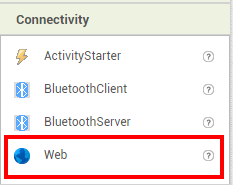 If you scroll down in the list of Properties, you can change the Title (now Screen1), to for instance “Weather station”. You can change the names of the components to more meaningful names in the Components window by using the Rename button. Next, add another “Label” and “WebViewer” (inside the TableArrangement) for the humidity, and set their properties. The second WebViewer gets “https://home.et.utwente.nl/val/humidity” as the ‘HomeUrl’. Save the Project via Projects > Save Project in the main menu. In the main menu, select Connect > AI Companion. Start the MIT AI2 Companion App on your phone and scan the QR-code. This will launch the App on your phone. Check if it works as desired. To refresh the values regularly, we will add a timer to the App. 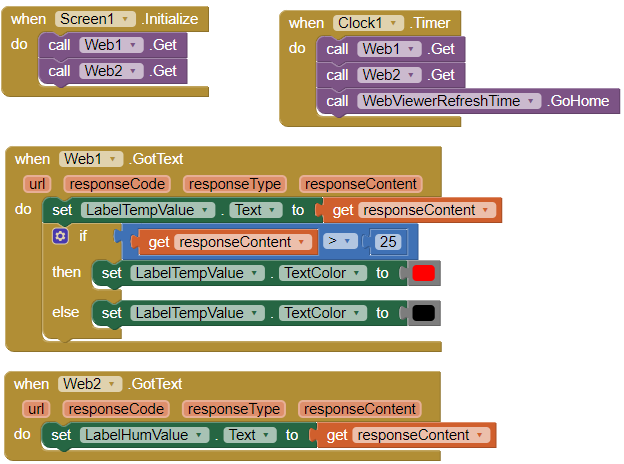 From the Palette, choose “Clock” (its under “Sensor”) and drag it into the viewer. 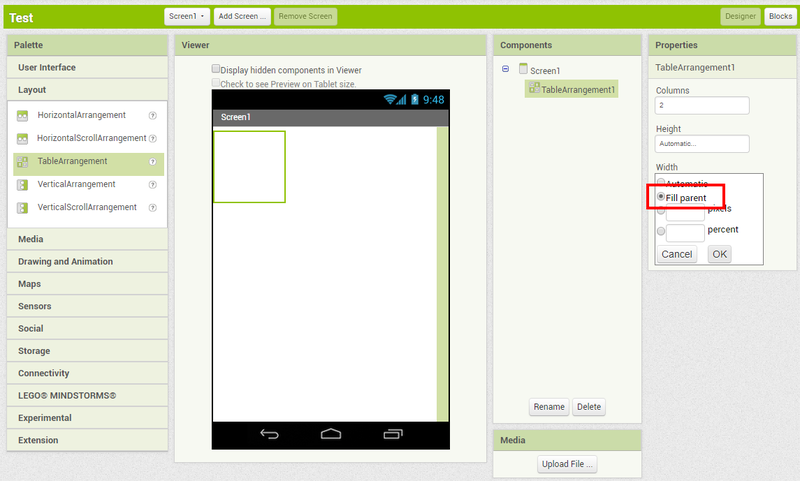 It will not become a visible part of the Userinterface (that why its listed under ‘Non-visible components’). Select the Clock and set its property ‘TimerInterval’ to 10000. 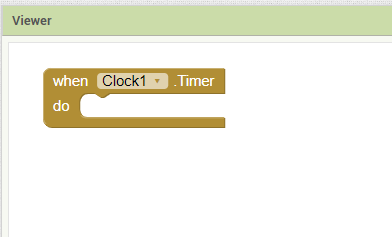 This will make the clock ‘tick’ once every 10 seconds (the value is in milliseconds). For testing this is a good value. Later on, you might want to increase that to for instance 300000 (5 minutes). 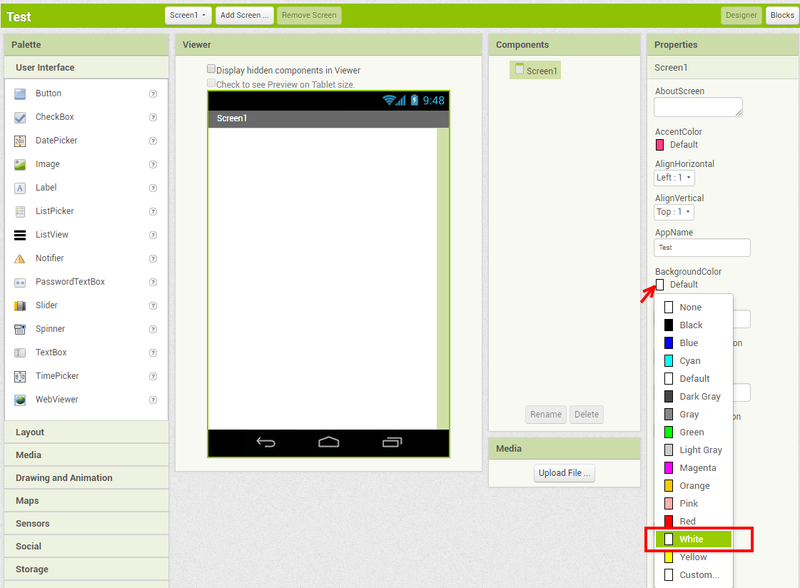 Next, select ‘WebViewerHum’ and drag the “call WebViewerHum .GoHome” block inside the “when Clock1 do” block also. That’s it, we have now programmed both WebViewers to refresh themselves every 10 seconds. You can now test this: if you have the sensor running, breathe onto it, so the temperature and humidity values raise. Check the app if it shows new values. If you do not have a working sensor, you can change the sensor value, by assigning a new ‘fake’ value to it. For instance to set the temperature to 10 degrees, just visit this URL in your browser: “https://home.et.utwente.nl/val/temp/10”. Just displaying values from the web might not always be what you want. What if you want to read the actual values, and process them? For instance, do something like: if the temperature is above 25 degrees, display a warning. We cannot do this by simply using a WebViewer. Drag this into the viewer. As the value for its property ‘Url’ set “https://home.et.utwente.nl/val/temp” (or you own version of the variable). 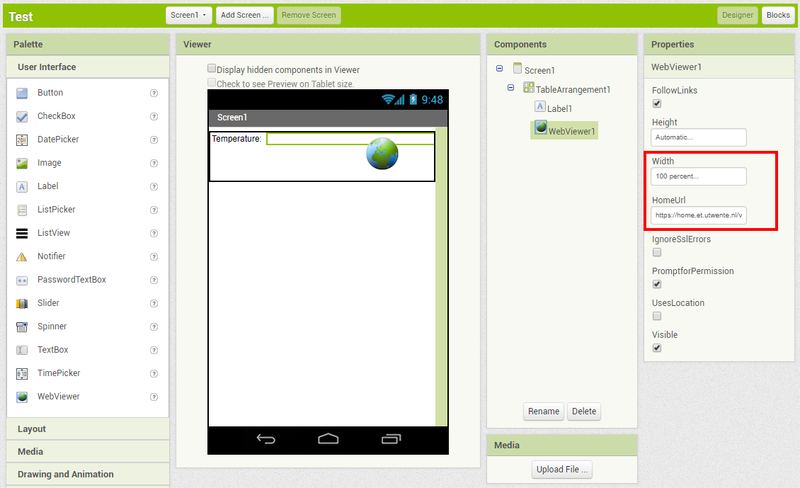 Because we will read the value by using a Web Component, the Web Viewer is no longer needed to display the temperature. So remove that component and replace it by an ordinary Label, name this ‘LabelTempValue’. This might be a good moment to test the App. One more thing that could be useful for this App, is to see the last time the value has refreshed. By now, you should be able to figure this out yourself. You need the actual refresh time of the temperature, which you can get from this URL: “https://home.et.utwente.nl/val/temp?time”.